This commemorative mural is located on a Main Street building in Los Gatos, California—one of the communities that suffered damage from the 1989 Loma Prieta earthquake . 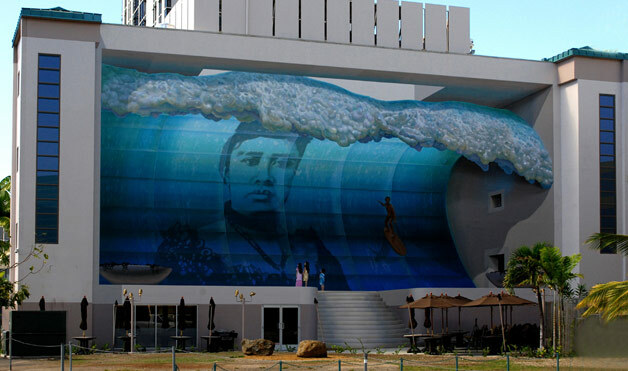 “Mana Nalu,” translated as "Power of the Wave," was created by mural artist John Pugh with the help of 14 artists. It is located on the east side of the Lani Nalu Plaza building in Honolulu. 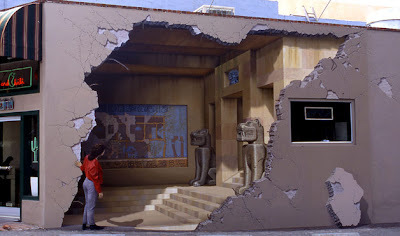 Photo courtesy of John Pugh.